It’s time to start thinking about County Events for the 2018-2019 4-H year! Now, you may be wondering why County Events is such a big deal or why your child should participate. Well, the four founding principles of 4-H are belonging, mastery, independence, and generosity. 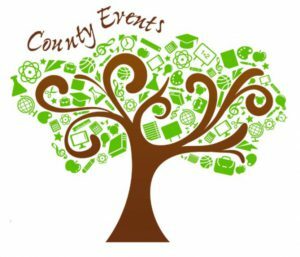 County Events encompasses all of those principles by giving youth a platform to showcase their talents and skills with others while building confidence in their ability to share their expertise in front of a welcoming audience. Each child has a special interest or talent and should be encouraged to showcase it at County Events. For a full description of guidelines for each of these competitive events and registration form, please click here.